Two of Australia’s most critically acclaimed hip hop artists have announced a joint project. A.B. 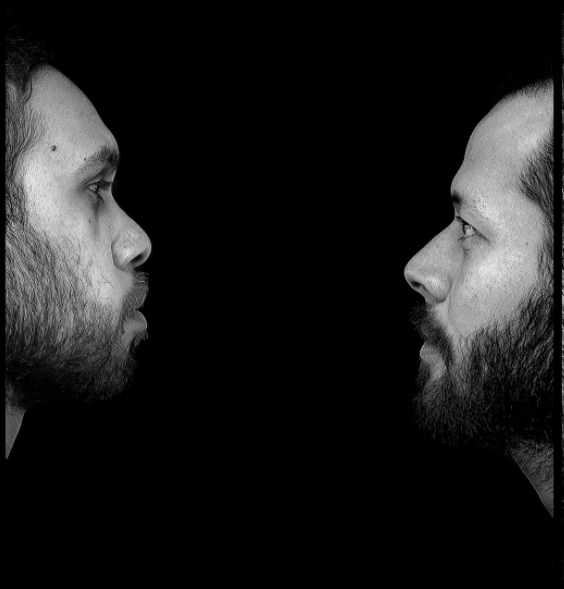 Original, the collaboration between Briggs and Trials (Funkoars). A.B. Original is the collaboration between Briggs (NIMA Album of the Year recipient in2015) and ARIA Award winning producer Trials ( Drapht, Illy, Hilltop Hoods, The Funkoars). Children of the Sunrise encourages Australia's young people to dream, to dare to have hope and to know they have a place in the future. It was inspired by the likes of Ray Martin, Cathy Freeman, Beccy Cole, Angry Anderson and Jeff McMullen who work to create positive change. Adrian Eagle - Unique Aussie Reggae/Country & Hip-Hop Tones. New Artist hailing from Melbourne via South Australia. Take a listen. Son of the Sun - A Chant for Positivity! Healing through our words, may negativity die today! First single from Adrian Eagle. Albert Wiggan recorded by PAKAM's - this project features 48 original songs from remote Kimberly communities. A tender love song from an exciting young songwriter from the Dampier Peninsula, Albert Wiggan. An established spokesman who is dedicated to keeping industry’s footprint to a minimum, Albert’s songs reflect a life balanced between two colliding cultures. Makalanya (Nyamal language) translates in English to 'Red Hill'. 20 year old Wergaia woman Alice says "I take great pride in my heritage and to combine music with my background brings me an unexplainable amount of pride and happiness." A Wergaia woman and singer/songwriter from Horsham is now based in Melbourne. A finalist in triple j Unearthed NIMA competition Alice will record her debut EP in 2016. Anthony Green is an Armidale based country and roots solo artist. Anthony’s self titled EP is testament to the caliber of this young Indigenous performer. ‘I Got You’ pairs Anthony with Deadly Award winner SHARNEE FENWICK in a great duet underpinned by the expert Porter production. The song could definitely be played at wedding. A love song that people in a strong relationship can relate to. With shades of pop-rock influences, the new single explores the pain of rejection at the hands of partners, family, or friends. It’s about facing your problems, picking yourself up, and being okay with going down new roads to find yourself again. Formed from the red dust of the Central Australia desert, Deenzo and Jonzee have combined their talents to form the acoustic duet (at this stage) Apakatjah.